The move by the government to bring warehouses under the Goods and Services Tax (GST) net is likely to have a major impact on players in the organised sector who take warehouses on rent as part of their collateral management business. They see a huge burden especially when they deal in farm commodities. Agri commodities collateral management business has flourished the past few years as companies in this space help farmers and processors get finance from banks and non-banking institutions. The new government decision means that they have to pay now 18 per cent GST on the rent they pay for the warehouses in which their collateral commodities are stored. In many cases, such companies themselves finance farmers or their group NBFCs finance them against collateral commodities. Hence these collateral management companies cannot get input credit of the GST they pay on rent because the commodities in which they deal are agri commodities, which do not attract GST. This is a big burden on them. “If agri commodities are fully exempt from GST, all products and services linked to them should also have been exempted. The entire channel either needs to be taxed or exempted. We, therefore, consider the current structure of GST levy as an element of business risk. We provide a variety of services to our customers in a package which help us make even a small segment of our business viable,” said Ramesh Doraiswami, Managing Director, National Bulk Handling Corporation (NBHC). Smaller warehouses with annual rent income of below Rs 20 lakh are however exempted from GST. 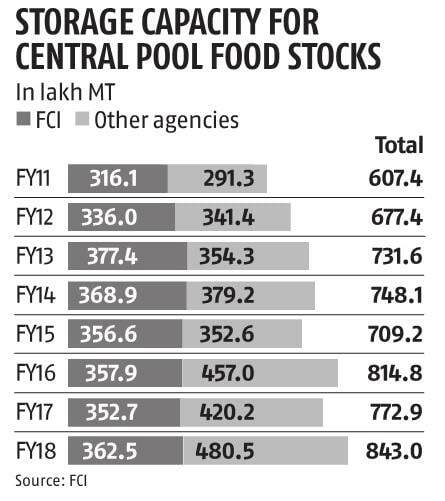 This is a major relief as, according to CARE research report, approximately 90 per cent of the warehousing space controlled by unorganised sector players and are less than 10,000 square feet. But this causes another problem when their services are used by collateral management services companies. “Most of the private warehouse service providers like StarAgri create a network of warehouses for rendering storage services by leasing-in or renting warehouses from small service providers on an individual basis. This service arrangement was not liable to service tax, since, the small service providers were below the threshold limit during the service tax regime. Agriculture sector remains largely exempt from GST. Thus, any input taxes levied on input products or services used will contribute to increas in output prices,” said Amith Agarwal, Executive Director, Star Agriwarehousing and Collateral Management Ltd.
Another relief is that reverse charge mechanism has been suspended. Under RCM, if service provider is not registered in GST, the service user has to pay the tax on their behalf. “Reverse charge implementation is suspended till further orders. This has given a major relief to all warehouses with income less than Rs 20 lakhs. For the income more than Rs 20 lakhs, 18 per cent GST is applicable which we have to incur and for which we have no input tax credit available as agriculture produce is exempt from GST,” said Sanjay Kaul, Managing Director, National Collateral Management Services Ltd (NCML). To address this issue, many players in warehousing sector, meanwhile, have also started focusing on innovative technology to monitor entire logistic issues to avoid demurrage and also the delay in loading and unloading to cut down their cost of warehousing and transportation. “In a bid to bring about automation into the entire supply chain model enabling everyone to have direct access to the dashboards that can be customized as per the business needs. The whole objective is to transform how transportation currently done by corporate and shippers in the country. Transport Hub provides end to end solutions from picking the goods by the shipper to delivering the goods, tyre management, fuel management amongst others. This customized technology saves the cost of transportation immensely,” said Rohit Chaturvedi, managing director, Transport Hub. Meanwhile, large units have started rendering other allied services including trade finance, fumigation, maintenance and advisory services along with the core business of warehousing to set off their loss in reverse charge (paid by organized sector players on the services availed from unorganized sector players). For commodity exchange registered warehouses, however, tax recovery from other services has become a herculean task. 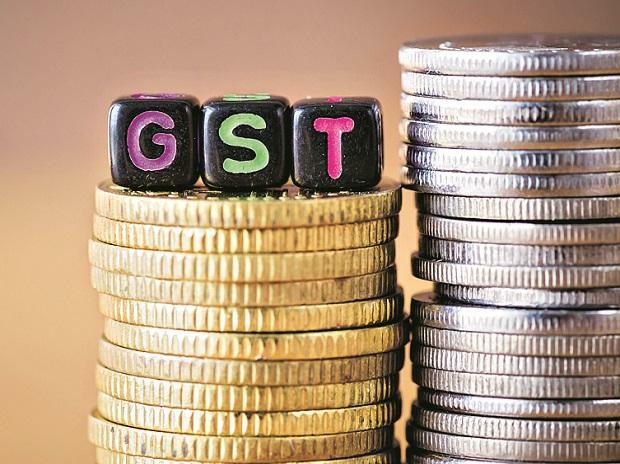 The government has levied 5 per cent of GST on trading as against 18 per cent on rented warehouses above the threshold and exemption on unprocessed agri commodities. Thus, the warehousing sector faces tax anomalies in every channel.